Small and growing businesses are nimble and can quickly adapt to the changing expectations of their customers. But businesses need a foundation for growth in a platform that scales beyond spreadsheets, manual processes, and disparate point solutions. Hear from customer Trailblazers to see how Salesforce helps them solve the challenges they face today and prepare for the success they expect tomorrow. You'll be amazed how easy it is to grow when you build your business to connect around your customers! Time: 1:00 - 1:50 p.m.
Join Tom Karemacher, Area Vice President of Commercial Sales, Salesforce, and industry leaders to see the future of customer engagement. Tom will highlight how innovative companies are using the cloud, mobility, IoT, and artificial intelligence to achieve new levels of success. 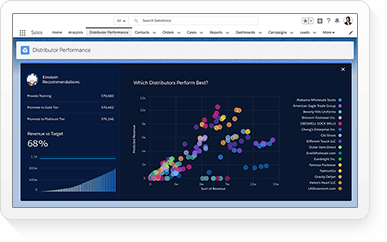 Salesforce will showcase new products like Salesforce Einstein that will dramatically change how employees across sales, service, marketing & IT perform their jobs and engage with customers. Seating in the Main Keynote is limited. Attendees will be seated first-come, first-served. Time: 2:00 - 2:45 p.m.
Marketing is the sum of all interactions with your brand. In a world where customer experience is king, relevant and contextual interactions are the keys to the kingdom. Join us to discover an evolution in marketing that puts the customer at the center of every experience with your brand — from awareness and acquisition, to retention. 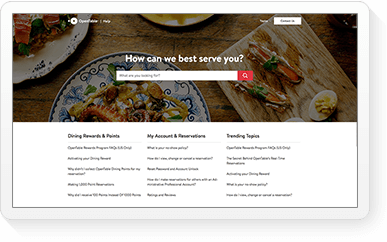 are getting smarter and more predictive about their customers, creating seamless 1-to-1 customer journeys. Time: 3:20 - 4:10 p.m. Imagine a world where artificial intelligence (AI) empowers every interaction to be personalised; like you’re the only one receiving every advertisement displayed, mobile offer, email sent and experiencing unique website, social and in-store visits. This might seem like an unachievable goal, but this is the future customer experience (CX), and it’s what customers now expect. Join us to learn how innovative brands and industry luminaries are leading the way in defining the next generation of CX for your business, delivering more accurate, relevant, and personalised touch points in-store and online. Soul Machines will inspire you to think about how CX can help you connect to your customers in a whole new way. Soul Machines was spun out of the University of Auckland in July of 2016 to commercialise the BabyX technology developed by two times Academy Award winner Dr Mark Sagar. Soul Machines is now deploying the world’s first digital employees with some of the biggest corporate brands in the world in Banking and Finance, Software and Technology, Automotive and Healthcare industries. From digital sales and customer service agents to digital celebrities Soul Machines literally puts an emotionally intelligent and responsive human face on AI. Their world leading technology uses brain models to bring their digital humans to life from its cloud based Human Computing Engine. Time: 4:10 - 5:00 p.m. In today’s competitive environment, sales teams must connect with customers in new ways and become Sales Trailblazers to achieve sales success and develop deeper customer relationships. 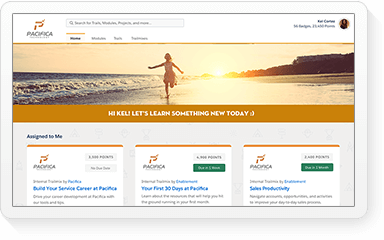 Companies must empower every sales rep to sell smarter, sell faster and sell the way they want to drive maximum sales productivity. Join Salesforce leaders and special guests to learn how Salesforce for Sales helps companies drive revenue from prospect to advocate. 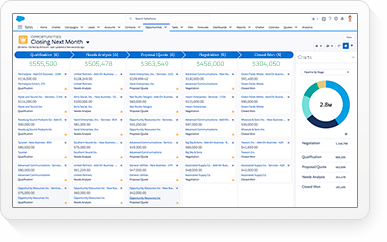 Learn about the latest Salesforce technologies and best practices you can use to maintain your sales edge. Time: 1:00 - 1:40 p.m.
At Salesforce, we provide our customers with everything they need to achieve a new kind of customer success, including expert guidance, support and learning resources. Hear from a customer on how they innovate, optimise, and run efficiently on the platform to achieve business results, faster. Time: 3:20 - 4:00 p.m.
Technology is transforming how we work and live today. Cloud, Mobile and AI have revolutionised the way we connect with the world, and your customers and employees now expect a smart and connected experience. But many IT teams are challenged with a lack of developers to build new solutions and are held back by legacy systems and infrastructure. How will you stay ahead? Join us to hear how IT Trailblazers are using visual development tools, open development frameworks and machine learning to empower users, admins and developers to work smarter together and transform how IT operates. Time: 4:10 - 4:50 p.m.
To blaze trails in the Age of the Customer, marketers need to know what’s top-of-mind for their peers, and understand what practices set top teams apart from the rest. Join this session to arm yourself with an exclusive preview of results from the fourth annual “State of Marketing” research study, based on a global survey of 3,500 marketing leaders. You’ll learn about key trends that are changing the face of marketing, such as the evolution of customer journey strategies, the growth and influence of various channels, how teams are leveraging emerging technologies like artificial intelligence, and more. Time: 12:20 - 12:40 p.m.
Salesforce integration remains a key challenge for most organisations. However, there are four easy ways in which businesses can make their Salesforce integration a breeze. This session will share how integration Platform as a Service (iPaaS), APIs, Master Data Management and workflow play an important role in helping minimise the time, cost and effort involved in setting up and maintaining Salesforce connections. Discover the four simple ways in which Dell Boomi’s cloud based integration platform, with single instance multi-tenant capability, can boost your Salesforce integration development speed and customer satisfaction ratings, while reducing the time and effort spent on life-cycle management and error resolution. Time: 12:40 - 1:00 p.m.
Join us to learn how high-performing marketers combine the Salesforce Data Management Platform (DMP) with the power of the Salesforce Marketing Cloud to power advertising, marketing and CRM campaigns that drive smarter customer journeys across digital channels. In this session, marketers will learn how Salesforce DMP enables you to leverage your Salesforce data across your digital campaigns to deepen your relationship with your customers and target prospects that closely resemble your most valuable customers. Time: 1:00 - 1:20 p.m.
Account-Based Marketing is a popular and much-hyped trend these days in B2B. Most practitioners and thought leaders in the space would agree that CRM plays a critical role in any Account-Based approach. 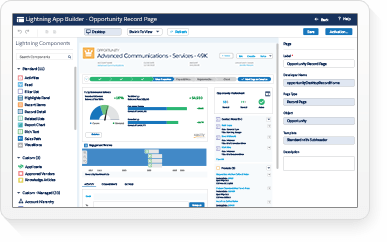 But did you know that there are some simple customizations and features you could be using right now to power ABM strategy, campaign execution, and measurement? 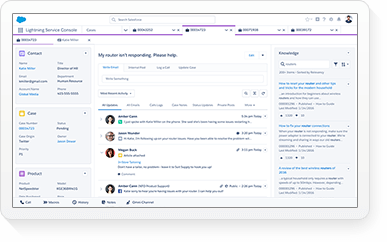 Join our product team for some ready-to-use tips and demos that you can take back to your team to see immediate results. Time: 1:20 - 1:40 p.m.
Todays customers want a SMARTER customer service experience through their social channel of choice — one that is both FAST and PERSONAL. In fact, 64% of customers expect companies to respond and interact with them in real-time or they will take their business elsewhere. Join us to learn how top performing companies are able to listen to their customers at scale, control communications in a crisis, and engage with their customers with personal service, in an instant... creating advocacy in this culture of immediacy. Time: 2:55 - 3:15 p.m.
Join us for an interactive discussion with your peers on how to successfully adopt and leverage Lightning for your organisation. Whether you are just beginning your journey, or have already started down the path, this is a great opportunity to hear and share best practices, tips for a successful launch and getting the most out of the Lightning experience. Time: 3:20 - 3:40 p.m.
Today's customers are more connected than ever before, and customer service is on the front lines of delivering on customer expectations. Whether you're optimizing your operations or transforming your business, your customers expect you to deliver proactive service on every new channel as it emerges. Join Salesforce customers to learn how you can deliver service for today's mobile-first world. Time: 3:40 - 4:00 p.m.
Summer '17 is our 53rd release and we want to make sure you're prepared to take full advantage of all the new features. 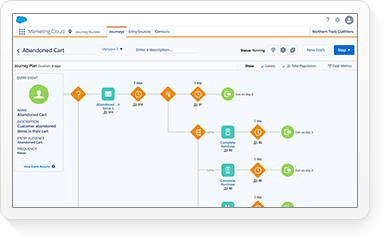 Join our Success Team for release highlights, use cases and best practices that will help you drive business value for your end users. Time: 4:10 - 4:30 p.m. It takes a plan and some advocacy to transform a community from a simple self-service solution to an engagement hub where your customers and prospects go to learn, engage, and grow with your products. Join us to learn techniques for using a community as an onboarding, educational, and advocacy tool, and creating a single place for your customers to onboard, succeed, and grow. 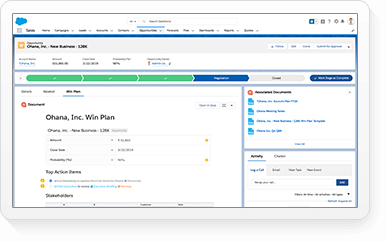 Time: 4:30 - 4:50 p.m.
Are you ready to sell faster and smarter with the new Salesforce Lightning UI? This session is a must for customers looking to migrate to Lightning. Experts will outline key steps you need to take to ensure migration readiness, as well as share best practices from recent customer implementations. Experience Design isn't just a buzzword anymore — it has become table stakes for any company trying to compete in today's digital environment. In fact, according to Forrester, on average, every dollar invested in UX brings 100 dollars in return. Learn why a design-led approach to innovation can make or break your competitive advantage in the Age of the Customer. 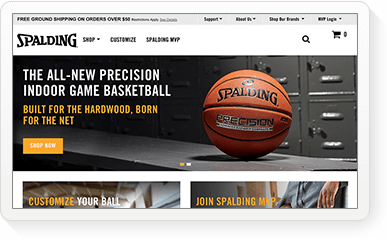 Today's marketing is about more than just campaigns - it's every touchpoint with your customer. Join us to discover how to optimise the Marketing Cloud Connect feature in order to better leverage data across Salesforce Marketing, Sales, and Services Clouds, so you can build 1-to-1 relationships with your customers. Salesforce Success Specialists provide valuable recommendations during 1:1 expert engagements. Hear how these recommendations can be implemented quickly with Configuration Services and incorporated into the Accelerator delivery to maximise your ROI. Join us for an intimate and interactive discussion with other customers to learn about the leading Key Performance Indicators that drive the reports and dashboards you rely on to make your most important business decisions. We will discuss best practices for identifying, creating, managing, and assigning metrics in your business. We'll discuss the importance of sales and marketing alignment, why it's important and how it would improve your marketing efforts in providing better quality leads to your sales team. Join us for an intimate and interactive discussion with other customers to learn how you can best manage ongoing Salesforce changes to keep current with ever-changing business needs. We will share strategies on who to include when planning for change, how to entice users to provide feedback, and what you should be thinking of when developing a change process to drive Salesforce ROI. Join us for an interactive discussion with other customers to learn how you can prepare for your Lightning transition using the Lightning Readiness Check Tool. During this session, we will demonstrate the Lightning Readiness Check Tool and discuss best practices for features and the gotchas involved. In addition to having the dialogue with other customers, you will be joined by a Lightning expert. Time: 3:00 - 3:50 p.m.
Journey-led transformations deliver impact across many key business metrics; time saved, more revenue, and happier customers at a lower cost. Join this interactive discussion and explore how your campaigns can have an even more significant business impact by aligning your goals with the customer experience. Join us for an intimate and interactive discussion with other customers to learn about end-user training techniques to increase Salesforce adoption and empower users in your company. This session focuses on the framework used to design and deliver an effective end-user training program. We will discuss strategies on the 5 Ws, ways to develop a role-based curriculum, and explore ideas for delivering and measuring your training efforts. Education is an ongoing journey. Get started on the right track! Community managers who would like to learn strategic best practices for improving Community Cloud adoption and member engagement should attend this session. Getting and staying on the path to success is challenging as organisations grow more complex and the needs of your business users evolve. Join us to discuss how other customers have become successful through identifying executive sponsors, planning for growth, and dedicating resources to Salesforce. **Registration is limited to Salesforce.org customers only. The term 'Data Management Platform' has gained significant momentum over the last 7 years, but what is it all about? Join us for a presentation on the role of the DMP and an overview of why they have become so popular. This session will help you to understand: What a DMP does, How data is surfaced and activated, what types of data are most valuable and whether your data could be used for Marketing purposes or as an incremental revenue stream. Continuous Delivery is the prescription for code quality, product agility, and engineering velocity. Join us as we explore the Heroku developer experience, designed to help you build, deploy, and manage everything from large complex applications to last night’s hack. In this session, you’ll learn how Heroku Flow makes Continuous Delivery simple and flexible through a tour of Heroku’s many deployment options and a demonstration of how you can attach 3rd party add-ons in a single click, setup a team-based continuous delivery pipeline, and gain visibility into the runtime characteristics of a production application using metrics. Attend this session and learn how Salesforce development teams build amazing apps using Heroku for greater agility while maintaining the highest level of trust. 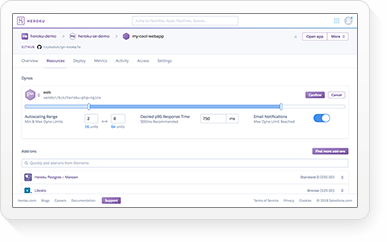 We use Heroku for internal apps like our Concierge IT portal, external apps like Trailhead, and secure data synchronisation between internal Salesforce orgs. 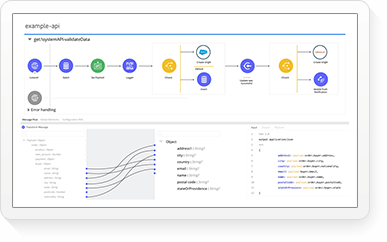 You’ll see how we use Heroku to build apps that provide a unified user experience and presentation layer across multiple different Salesforce orgs. Time: 1:25 - 1:45 p.m. IT decision makers are exploring platforms they can bet and build their business on. Often, they realise there is no single answer, instead, a continuum of platforms have emerged, and winners will be ones that are most inclusive and adaptive. Join us to learn how Heroku extends the Salesforce platform to allow organisations to harness the power of Heroku, an elastic low cost of ownership platform, to build customer facing applications on Salesforce data. Think employee engagement is just nice to have? Think again - Gallup's State of the Global Workforce reports that more than 80% of employees are not engaged or actively disengaged, resulting in more than half a trillion dollars in lost productivity. Join us to learn how leading companies use Employee Communities to increase employee engagement, innovation, and productivity by connecting employees to the people, content, and apps they need, all in one place, accessible from any device. Time: 3:45 - 4:05 p.m.